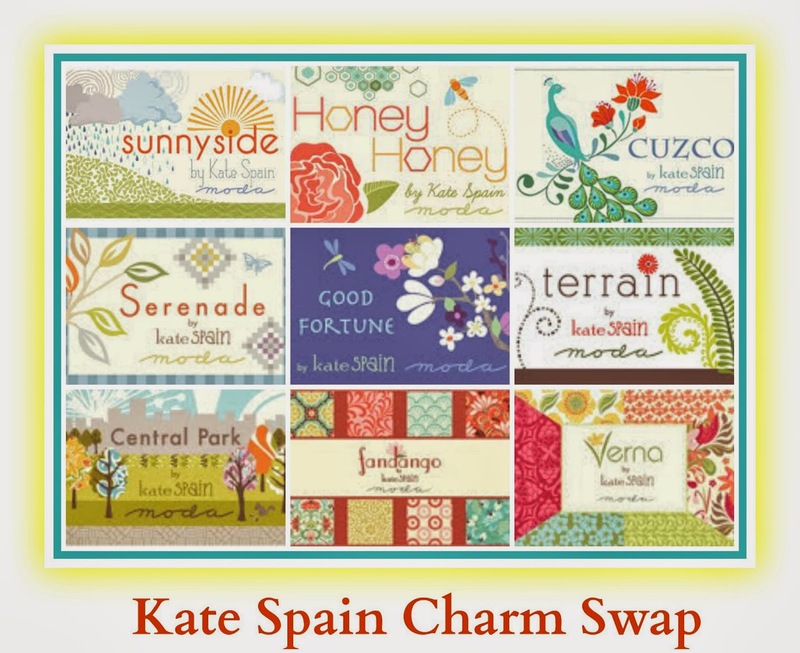 I'm very surprised to tell you that the Kate Spain Charm Swap is still not full. One week after opening up the list, there are still spots available. I honestly never expected this. I truly thought it would fill up within a couple of days. If you've been on the fence about joining in, now is the time. If you originally only signed up for 1 spot and now would like a 2nd one, just let me know. Please spread the word to your friends, post on your blog or Facebook page or wherever else you frequent and help me fill this swap. 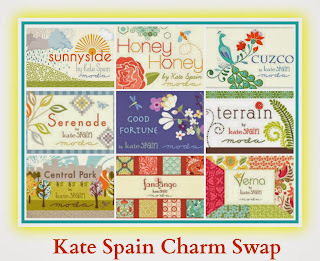 We all now already how awesome the Kate Spain fabrics are so we need to help more quilters get addicted too. Swaps in general are taking a lot longer to fill these days. 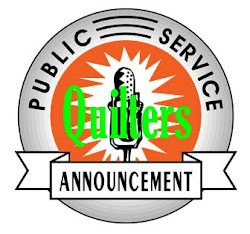 I am not sure why.I've been debating this one, but I've been spending a lot of money on a quilt I am working on, and I am never sure what to do with charms. And I literally just cut up my Cuzco like a week before you posted this! :( I'll poke around and see what I can find. How is it going?? Are we filling up? 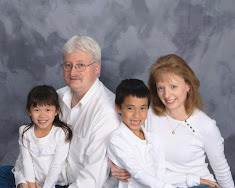 Shopmartingale.com is a craft/quilting book publisher. They have lots if digital patterns for sale and books, too. You could choose search by precuts or charm packs...they have several books like Three Times the Charm.